2019.01.14　NEW MODEL入荷！ EYEVAN "Grace"
2019.01.06　NEW MODEL入荷！ EYEVAN "Sonic"
2019.01.05　NEW MODEL入荷！ EYEVAN "Jonathan"
2019.01.01　お知らせ "2019 Happy Fair start!" 2018.12.24　NEW MODEL入荷！ DITA "KOHN"
2018.12.23　NEW MODEL入荷！ DITA "TELION"
2018.12.22　NEW MODEL入荷！ TOM FORD "Cary TF 58-F"
2018.12.21　NEW MODEL入荷！ OAKLEY "Frog skins"
2018.12.16　NEW MODEL入荷！ A.D.S.R. "MONK"
2018.12.11　NEW MODEL入荷！ EYEVAN "Aretha"
2018.12.10　NEW MODEL入荷！ YELLOWS PLUS "LEVIN"
2018.12.09　[GBライフ] g coffee "bubu stand" OPEN!! 2018.12.08　NEW MODEL入荷！ ayame "NEWOLD�"
2018.12.02　[GBライフ] g coffee "bubu stand" COMING SOON...! 2018.11.30　NEW COLOR入荷！ A.D.S.R. "DARRYL"
2018.11.26　NEW MODEL入荷！ THE UNION / THE COLOR "TWENTY FIVE"
2018.11.23　NEW MODEL入荷！ THE UNION / THE COLOR "TWENTY SIX"
2018.11.17　NEW MODEL 入荷！ NEW. "DOREN"
2018.11.15　NEW MODEL 入荷！ NEW. "JOHN"
2018.11.12　NEW MODEL 入荷！ NEW. "SANDERS"
2018.11.08　NEW MODEL 入荷！ NEW. "BEHAN"
2016.06.13　TOMFORD NEW ARRIVAL ! 2015.08.22　OLIVER PEOPLES「"inner matte lens" Braven、BLACKTHORNE」 up! 2015.08.09　OLIVER PEOPLES「OP-506 雅」 up! 2015.07.22　OLIVER PEOPLES 「WATERSTON、BLACKTHORNE」 up! 2015.07.17　CHUMS 「FLOATING NEO、FLOATING EYEWEAR RETAINER」 up! 2015.07.16　HARRY LARY'S / TOM FORD 「IDEOLOGY / TF4291」 up! 2015.07.09　OLIVER PEOPLES 「OP-505 Limited Edition 雅、OP-505 Clip on」 up! 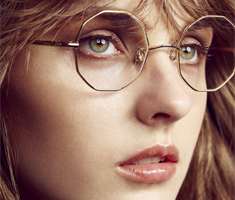 2015.07.06　OLIVER PEOPLES 「EXECUTIVE �、�」 up! 2015.07.03　A.D.S.R./LULU DK 「SATCHMO / Jewelry Tattoo」 up! 2015.07.02　ACE COMMUNE 「NEW BRAND」 up! 2015.06.28　YELLOWS PLUS 「RICKY、WINNY」 up! 2015.06.26　YELLOWS PLUS 「SEAN、JUDY、EMMA、PAULA」 up! 2015.06.22　Micedra Tokyo 「WS1006」 up! 2015.06.21　3.1Phillip Lim 「PL70」 up! 2015.06.20　NIXON 「MINI BLASTER」 up! 2015.06.18　NIXON 「LANDLOCK SE、SMITH SE、FOUNTAIN II」 up! 2015.06.11　NIXON 「TIME TELLER DIGI」 up! 2015.06.07　THE COLOR(THE UNION) 「SIX」 up! 2015.06.06　CHARI & CO、THE UNION、GB originals 「CLASSIC SCRIPT、POACHES、Hug」 up! 2015.06.03　RETRO FUTURE BY 900 「RF-006、RF-007」 up! 2015.05.31　THE COLOR(THE UNION 「SEVENTY THREE」 up!